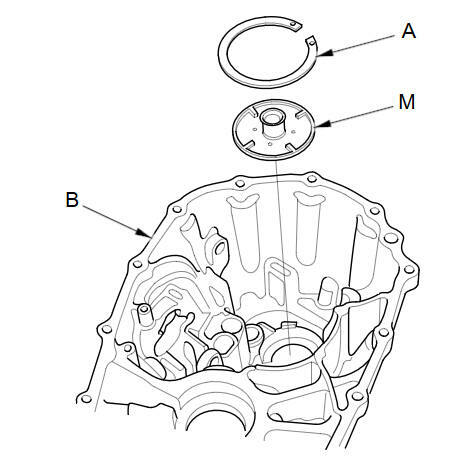 Remove the 72 mm shim (A) and oil guide plate M from the transmission housing (B). 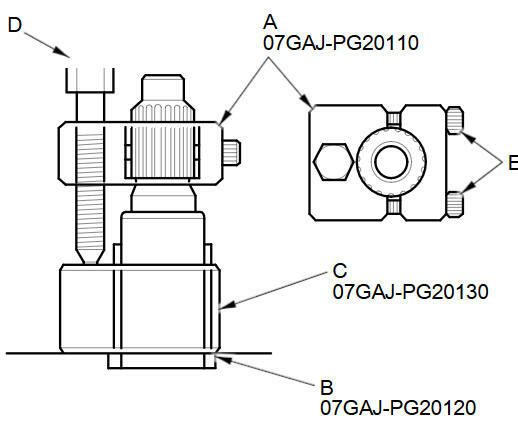 Install the 3rd/4th synchro hub (A), the distance collar (B), the 5th synchro hub (C), the distance collar (D), and the ball bearing (E) on the mainshaft (F), then install the assembled mainshaft in the transmission housing (G). Install the washer (H) on the mainshaft. Measure the distance between the end of the transmission housing and washer with a straight edge and a vernier caliper. Measure at three locations and average the reading. 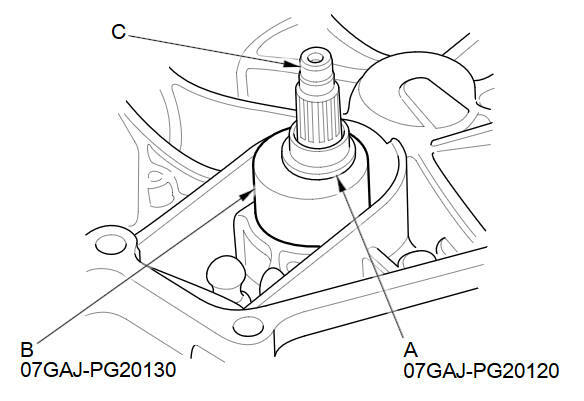 Measure the distance between the end of the clutch housing (A) and the bearing inner race (B) with a precision straight edge and a depth gauge. Measure at three locations and average the readings. Take the middle value of the minimum value and the maximum value, and select the 72 mm shim. 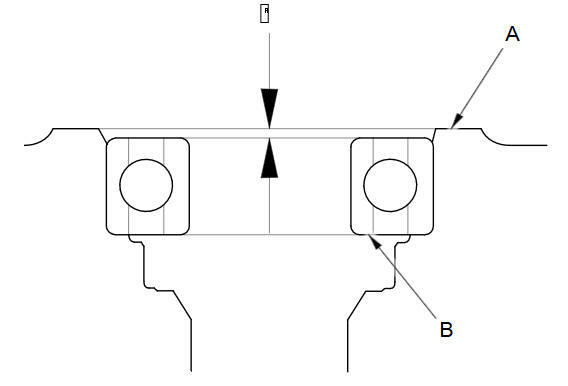 Using the example distances from step 6, the 1.74 mm (0.0685 in) is the correct shim. 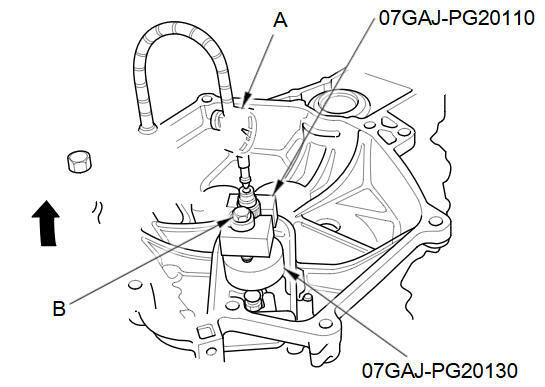 Install the 72 mm shim (A) selected and oil guide plate M in the transmission housing (B). 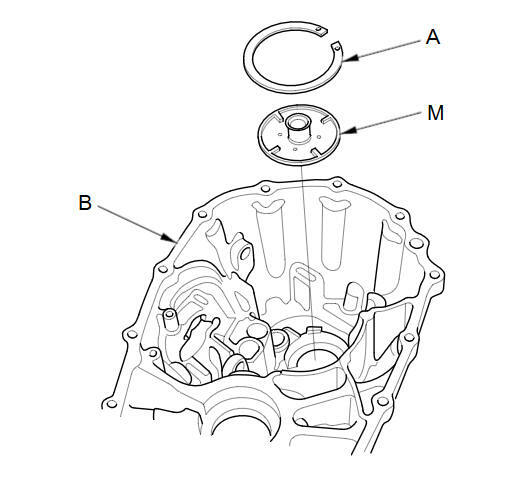 Thoroughly clean the spring washer (A) and washer (B) before installing them on the clutch housing side of the ball bearing (C). Note the installation direction of the spring washer. Install the mainshaft in the clutch housing. Place the transmission housing over the mainshaft and onto the clutch housing. Tighten the clutch and transmission housings with several 8 mm bolts. NOTE: It is not necessary to use sealing agent between the housings. Tap the mainshaft using a plastic hammer. 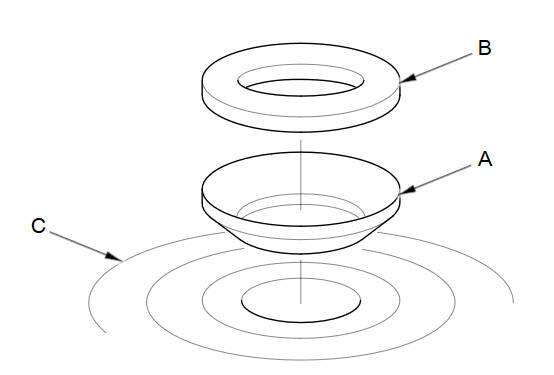 Slide the collar (A) and the mainshaft base (B) over the mainshaft (C). Back out the mainshaft holder bolt (D) and loosen the two hex bolts (E). Fit the holder over the mainshaft so its lip is toward the transmission. Align the mainshaft holder's lip around the groove at the inside of the mainshaft splines, then tighten the hex bolts. Tap on the end of the mainshaft using a plastic hammer to fully seat it. Thread in the mainshaft holder bolt until it just contacts the wide surface of the mainshaft base. Zero a dial gauge (A) on the end of the mainshaft. 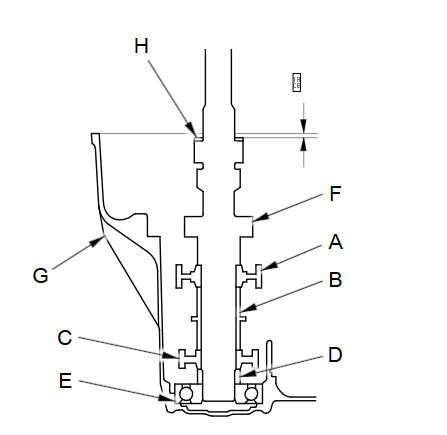 Turn the mainshaft holder bolt (B) clockwise, and stop turning when the dial gauge has reached its maximum movement. The reading on the dial gauge is the amount of mainshaft end play. Do not turn the mainshaft holder bolt more than 60 degrees after the needle of the dial gauge stops moving. Doing this may damage the transmission. If the reading is within the standard, the clearance is correct. If the reading is not within the standard, recheck the shim thickness.